Pebeo Setasilk Gutta 20ml	There are 6 products. 1 * Pebeo Setasilk Gutta 20ml - Clear. 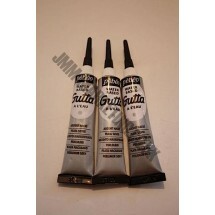 Water based gutta outliners for silk paints. 1 * Pebeo Setasilk Gutta 20ml - Pearl Black. 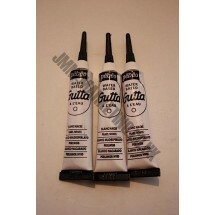 Water based gutta outliners for silk paints. 1 * Pebeo Setasilk Gutta 20ml - Pearl Copper. 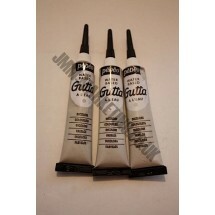 Water based gutta outliners for silk paints. 1 * Pebeo Setasilk Gutta 20ml - Pearl Gold. 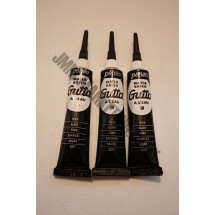 Water based gutta outliners for silk paints. 1 * Pebeo Setasilk Gutta 20ml - Pearl Silver. 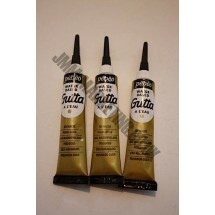 Water based gutta outliners for silk paints. 1 * Pebeo Setasilk Gutta 20ml - Pearl White. 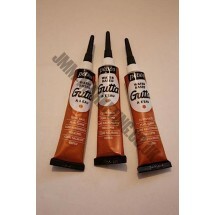 Water based gutta outliners for silk paints.